MOTION UNANIME ÇA Y EST, C'EST FAIT! CACTUS Releases Operating Plan for "Community Access Media Fund"
Details of the Community-Access Media Fund released today explains how approximately two hundred and fifty communities across Canada could establish community-run 21st century multi-media training and production centres at no additional cost to Canadians. Under the proposal made by the Canadian Association of Community Television Users and Stations to the CRTC for the review of its community TV policy hearing, these centres would take over and improve on the role now demanded of Canada’s cable operators, and free them to focus on their core communications businesses. “Canada needs a digital strategy that encourages access to and the adoption of new technologies at the community level,” said CACTUS spokesperson Catherine Edwards. Recently released CRTC audits and independent analyses have confirmed that Canada’s once prolific system of roughly 300 distinct community TV services has been cut by more than two-thirds, and that the vast majority of the remaining community TV production emanates from cable company staff instead of from communities themselves. Many Canadians don’t realize that the cable industry collects over $100,000,000 per year from subscribers to provide "community expression". CACTUS is asking that that money be directed to the new fund, so that community-owned media centres can apply for licenses and re-establish local programming in communities that have lost a distinct service on cable. "Times have changed. Only 60% of Canadians get cable now. We need a new digital townhall. CAMF will fund media centres that will hold over-the-air licenses, be carried on the basic cable tier, and distribute to new media devices, including streaming over the Internet. Everyone in a community will be able to participate, including individuals, non-profit and community-service organizations, local business, educational, and governmental institutions." The CAMF document now posted to the CACTUS web site at cactus.independentmedia.ca sets out how the new fund will operate, including proposed board strutures for both the community-run media centres that could apply to CAMF, as well as CAMF itself. "Canadians want transparency and accountability. We've consulted for months with community, media, and cultural stakeholders to ensure that this structure will give Canadians the hyperlocal services, training and access they've been paying for." 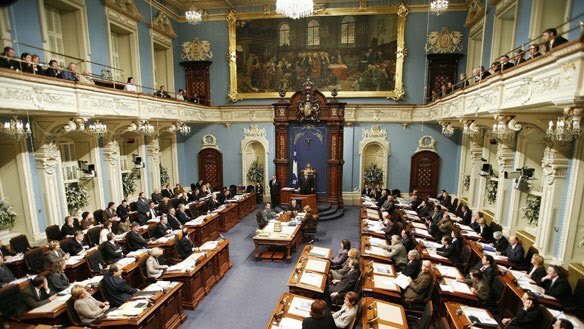 CACTUS is scheduled to appear before the CRTC in Gatineau, Quebec, on Monday, April 26th, and looks forward to the opportunity to discuss details of its no-new-costs plan for a 21st century model for community media.